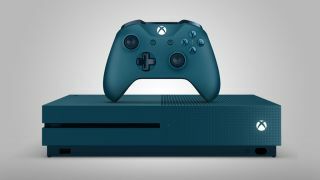 Microsoft has put plans for VR support for Xbox devices on hold, according to an interview with Xbox’s chief marketing officer. Speaking to gamesindustry.biz, CMO Mike Nichols said that the gaming platform doesn't have “any plans specific to Xbox consoles in virtual reality or mixed reality”. Nichols clarified that Microsoft was rather focusing on VR development on PC, and saw mobile as a “good scenario” for mixed or augmented reality. The announcement is the culmination of a gradual retreat over VR plans for the Xbox console. Back in 2016, Xbox chief Phil Spencer told gamers to expect “high-end VR” experiences on the Xbox One S, shortly before Microsoft promised mixed-reality content would be on Xbox devices by 2018. Suffice to say, none of that ended up happening. The hefty technical upgrades on the Xbox One S and X consoles has certainly made VR support more viable, though the failure of the Kinect motion controller to shift units has likely made the company wary of over committing to additional peripherals through the Xbox platform.